I often see people posting links to articles and op-ed columns, like mine, for discussion. In and of itself, there’s nothing wrong with this – after all, discussion is the desired result for every single installment of this column. What IS wrong is that a certain number of you, when you disagree with what’s in it, post a copy of the article from an archive website like archive.is with the express intent of denying page views to the publisher. And this really needs to come to an end. There’s no shortage of writers out there whose dedication to the marketplace of ideas disappears the minute somebody disagrees with them. By now, I hope I’ve demonstrated that I am not among them – that I not only talk the talk, but also walk the walk. Every seventh installment is a look at reader feedback, and one of my main requirements for selecting the reader comments opposing my stance is that it has to be the best form of the argument – it has to have enough weight that, by itself, it could make you disagree with me. You see, that’s how ideas are tested – they must be challenged. If an idea can’t withstand the challenge of somebody disagreeing with it, then it doesn’t hold water in the first place. And the only way that we can make sure our ideas hold water is to ensure that they get challenged. And this brings me to the archive websites. There is a big difference between disagreeing with somebody and trying to silence them. One is okay, and the other isn’t. Deliberately denying them page views is not a form of disagreement. It’s warfare, and it’s the same sort of warfare used by a certain movement that began in August 2014 to try to silence op-ed writers who they disagreed with. You see, while there are websites with a strong editorial slant, there are a lot of websites without one, or which ignore their slant when it comes to their contributors – websites that publish articles that lean to both the left and the right. And, very often, the advertiser money that comes from the page views to the article you disagree with also goes towards publishing people whose views you DO agree with. So, you’re not just punishing the writer you disagree with – you’re also punishing every other writer published by that site. Now, there are cases where a boycott is warranted. If a website’s editorial stance is pure, unadulterated racism or misogyny, or it is calling for violence against minorities, then it falls under hate speech, and it is quite reasonable to boycott them. But I can count on one hand the number of times I have seen this be the case. Most of the time, it’s a website like Kotaku or Polygon or The Escapist, where the supposed “sin” amounts to little more than being on the opposite side of the political spectrum from the person posting the link. One of the best statements I ever seen on the subject was from Penn Jillette, who said “The solution for bad speech is always MORE speech” (emphasis mine). I believe this wholeheartedly. The only time I have ever used an archive website for a citation or a web link is when the original source is no longer available – that is, after all, what they are for. I have never used one to attempt to silence those who stand in opposition to my ideas, and I never will. After all, the fact of the matter is that none of us will ever know if we were right in the long run. Just as our ancestors were not like us, our descendants will not share many of our values – and it is very hard to predict which beliefs we hold will be seen as misguided a century from now. For all any of us know, the writer whose thoughts we read and disagree with may very well be the one vindicated by history. But history does have a couple of trends that repeat, and may provide something of a preview. Those who try to deny others their rights tend to be on the wrong side of it, along with those who attempt to silence criticism rather than meet it with words of their own. So, it’s time to stop denying websites page views because one of their writers committed the sin of disagreeing with you. It’s time to use websites like archive.is or archive.org for their intended purpose of preserving content that is no longer available, instead of punishing writers on the other side of the political spectrum and those with the temerity to publish them. After all, diversity matters. And diversity is about [b]adding[/b] voices, not replacing or removing them. Every voice that is added enriches us, and every voice that is lost leaves us poorer…even the ones we disagree with – especially the ones we disagree with. Robert B. Marks is the author of Diablo: Demonsbane, The EverQuest Companion, and Garwulf’s Corner. His newest book, An Odyssey into Video Games and Pop Culture, is available in print and Kindle formats. He also has a Livejournal and is on Facebook. 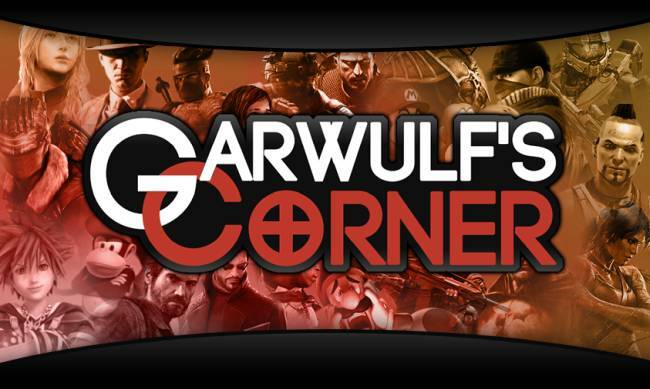 Garwulf’s Corner is made possible by the support of readers like you. If you would like to see more content like this, please visit the Patreon, and if you can, contribute.